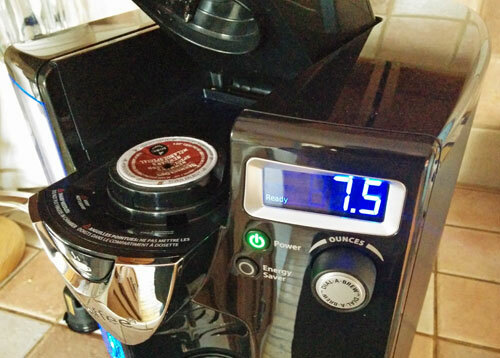 Our review of the iCoffee Opus single serve K-Cup coffee maker. First off, many thanks to the folks at iCoffee for sending us one of their Opus brewers to try out. As you can see from the video, we thought we would review it side by side with one of the original K-Cup brewers, the Keurig B60 Special Edition. I did it that way because I particularly wanted to compare the taste of a single coffee from both brewers. As you’ll see, I used a reusable filter in both machines. I did this because the coffee I chose is one I’m very familiar with, and usually brew with my drip brewer. Also, it meant I could be sure the coffee was fresh. I opened the bag and ground the beans immediately before I shot the video. Had I used regular, sealed K-Cups, I would have had no control over the quality and freshness of the coffee. And when the coffee isn’t fresh, you can’t really judge how much the brewer has to do with the quality of the final brew. A stale coffee will taste disappointing, whatever kind of brewing system you use. Put simply, instead of the hot water squirting out of the end of a needle into the ground coffee, it comes out of the side of the needle, as the needle turns. This allows for a more even distribution of the hot water across all of the coffee grinds. 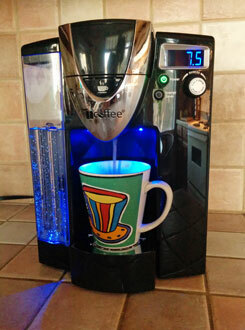 Our new favorite K-Cup brewer, the iCoffee Opus. If you can visualize it, when the hot water is blasted in a downward direction only, there is a danger that the coffee in its immediate path will be over-extracted, while the coffee at the top of the K-Cup and closer to its sides will be under-extracted. Over-extraction makes coffee bitter. And with under-extraction you lose body and that smooth mouth feel. Anyway, we did this comparison live. And in spite of the “spin-brew” difference, I didn’t expect to notice much of a difference between the two brewers. How come? Because I’m old and cynical and tend not to believe what advertisers claim about their products. Also, while waiting for the brewer to arrive, I watched a video review of the iCoffee brewer at cnet.com. While the reviewer didn’t conduct a taste test, he did conclude that the iCoffee was a disappointment. So I was prepared to be disappointed too. But I wasn't. Quite the opposite. 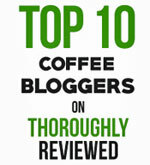 I don’t know how much experience the cnet reviewer has when it comes to tasting and evaluating quality coffees. But as far as I’m concerned, the guy has rocks in his head when it comes to the iCoffee. 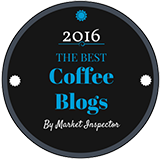 I have been tasting and reviewing quality coffees for many years now, and like to think I have a pretty accurate palate when it comes to discerning the strengths and weaknesses of different coffees and brewing systems. There is no doubt in my mind that if it’s the K-Cup format you want, the iCoffee brewer is by far the best buy. The coffee it produced wasn’t just a little bit better, it was a lot better. You can buy the iCoffee Opus Single Serve Brewer at Amazon.com. Bestselling single-serve brewers at Amazon.com. 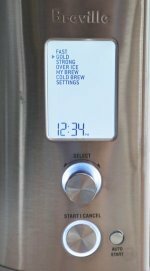 A closer look at the iCoffee K-Cup brewer display and brew head. Verismo brewers – Starbucks coffee makers for single-serve coffee lovers.